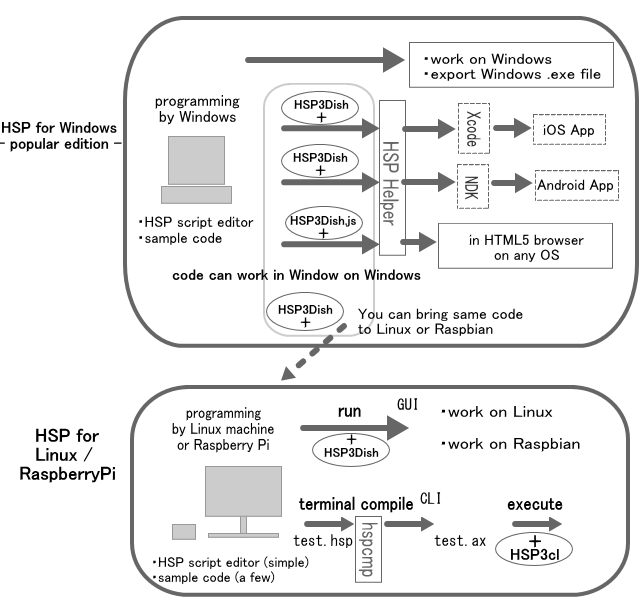 Hello, This is Junji ‘s website about HSP3.5 Programming for Raspberry Pi. Hot Soup Processor ( HSP ) is a programming language developed by ONION software Mr. Onitama . HSP can work on many OS, Windows, iOS, Android, HTML5WebBrowser, Linux, Raspbian etc. 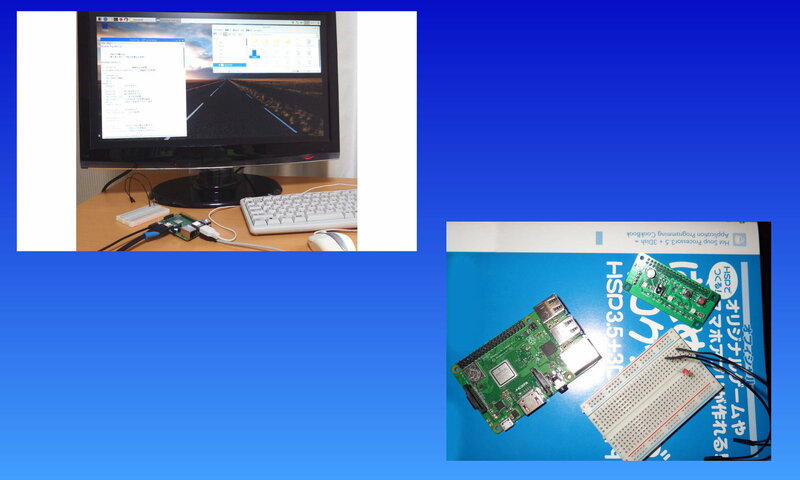 main article is about HSP programming on Raspbian with Raspberry Pi . I would be happy if I can help you even just a little.